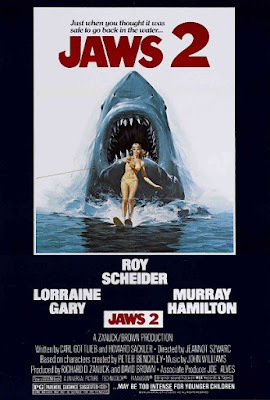 As the weather grows warmer and the beaches reopen, we're traveling back to Amity Island with Chris and Sarah to watch Jaws 2. We discuss the troubled history of the production, play armchair screenwriters by proposing alternative storylines for the film, and battle over the relative merits of director Jeannot Szwarc's filmography. Warning: Contains explicit language, spoilers and potential T-shirt slogans. Would you have rather seen a movie about the U.S.S. Indianapolis? Think Spielberg and Dreyfuss made the right move by staying out of the water? Do you agree that one should be able to invoke Supergirl immunity? Leave a comment and keep the conversation going.